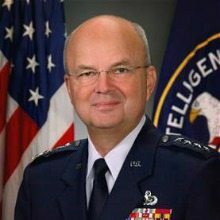 On Jan. 29, George Mason University Schar School of Policy and Government will host “Policy Corner” with Michael Hayden, retired Air Force four-star general and former director of the National Security Agency. Hayden’s special guest for the evening is Norman Roule, former national intelligence manager to Iran. He spent more than 30 years focusing on the Middle East in the CIA. His experiences there covered counterintelligence, counterproliferation, counterterrorism, cyber and sanctions issues associated to that region. The discussion will feature various aspects of Iran’s role in the Middle East, its nuclear and missile development and its direct military action in Iraq and Syria. Roule will also address developments in Saudi Arabia, the conflict within Yemen and disagreements among nations of the Gulf Cooperation Council. After the conversation, Roule will be available to answer audience questions and there will be a reception. Registration for the event is free and available here. For more news related to Roule, check out WashingtonExec’s article on his podcast with Michael Morell here.